Erdogan spokesman accuses Netanyahu of 'brutal oppression of Palestinian people' after PM calls on Erdogan not to lecture Israel. Turkey on Sunday hit out at Israel's "lawless occupation of Palestinian lands" after the Israeli prime minister accused Turkey of "massacres" against Kurds in a new war of words. Israeli leader Binyamin Netanyahu said President Recep Tayyip Erdogan "should not preach to Israel" after the Turkish leader warned young Turks on Saturday: "Do not kick the enemy you have brought down to the ground. You are not a Jew in Israel." Netanyahu said Erdogan was "the occupier of northern Cyprus, whose army massacres women and children in Kurdish villages, inside and outside Turkey" in a tweet late on Saturday. Erdogan's spokesman and chief advisor Ibrahim Kalin lambasted Netanyahu, who he said "should end the lawless occupation of Palestinian lands and the brutal oppression of Palestinian people" instead of "begging President Erdogan not to speak out the truth." Kalin added in the tweet on Sunday: "Bashing Erdogan or using Kurds as a political chip will not save him from his domestic troubles." 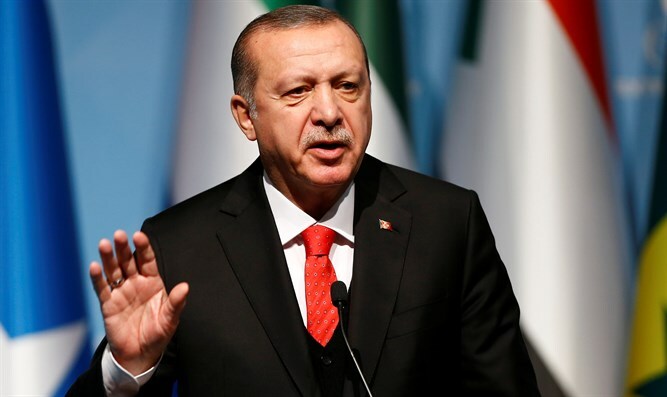 On December 14, Erdogan also said Palestinians were subjected to "pressures, violence and intimidation policies no less grave than the oppression done to the Jews during the Second World War," referring to the Holocaust. Erdogan, who regards himself as a champion of the Palestinians, has bitterly criticized Israel previously, calling it in July "the world's most fascist and racist state."